“It feels good to have finished," Gahinet said on arrival. “I've never been so tired, it was hard...” In the middle of the night on the pontoons of Dieppe, his eyes are red, his face is lined and drawn, but despite the fatigue, the smile of the skipper of Safran-Guy Cotten reflects his satisfaction at the end of this complicated leg. “It's great to finish 5th overall,” Gahinet said. “I was afraid last night when part of the fleet got ahead thanks to the sea breeze, but I achieved my goals. It was ambitious and I did it. 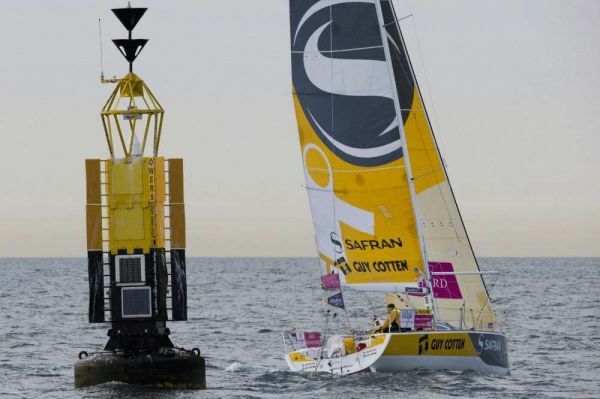 We raced four exciting legs, it’s a real pleasure to sail at the front with sailors of this quality.” Fifth in the overall ranking, the skipper of Safran-Guy Cotten finished 2 hours 25 minutes 26 seconds behind the winner of La Solitaire, Xavier Macaire (Skipper Hérault) and less than 15 minutes behind Jérémie Beyou, fourth on Maître Coq. “Xavier Macaire deserves this great victory. He had a fantastic race.” Gahinet said.